Today’s Wall Street Journal explains how left-wing activists are using fear of the racism label to shut down free speech and debate. The target of their current smear campaign is American Legislative Exchange Council, or ALEC. Liberals can’t stand ALEC because it is a strong and influential advocate for free market and limited government principals in state legislatures. Liberals accuse ALEC of supplying model legislation which may influence the writing of actual state law, or even become state law in some cases. Of course, liberal advocacy groups do this too, but they don’t let that get in the way of their criticism of ALEC. The reality is that all sorts of people and special interest groups seek to influence the writing of laws. But for laws to take effect — no matter who proposes them — they must be passed by legislatures and signed by the chief executive (or a veto must be overturned). Liberals accuse ALEC of being a front group for corporations, promoting only legislation that advances the interests of corporations or business at the expense of others. When you examine specific examples of these charges, the proposals being criticized often reduce taxes for everyone or reduce harmful and unnecessary regulations. If ALEC does promote legislation that caters to special interest groups, it should stop doing so. Besides services to legislators, ALEC provides a valuable service to the public: The Rich States, Poor States publication that examines why some states perform better in economic growth and opportunity than others. The fifth edition was released last week. Recently a city council member from a small town asked me if there were resources to help city council or county commission members understand and apply the principals of free markets and limited government to city and county governments. I looked and asked a few people. The answer is no, there appears to be no such resource. This seems like a growth opportunity for ALEC or a new organization. There are several well-known organizations that strive to advance the size and scope of city and county governments, and these need a counter-balance. Is it suddenly disreputable to advocate free-market policies? 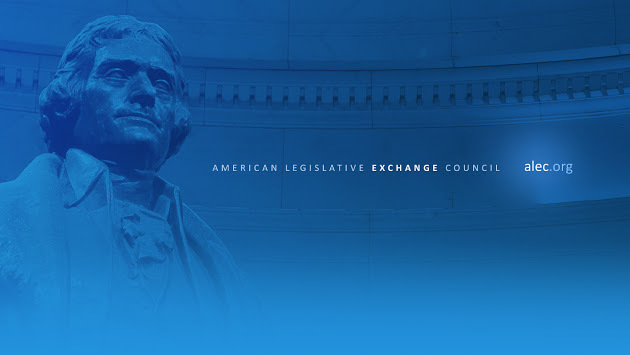 That’s the question raised by a remarkable political assault on the American Legislative Exchange Council (ALEC), which promotes reform in the 50 states. Led by former White House aide Van Jones, various left-wing activists and media are bullying big business to cut off ALEC’s funding. So much for free and open debate. Founded in 1973, ALEC is a group of state lawmakers who meet to share and spread conservative policy ideas. ALEC’s main focus is fiscal and economic policy, notably at the moment pension and lawsuit reform, tax and spending limitation, and school choice. For years it labored in obscurity, its influence rising or falling with the public mood. But after conservatives made record gains in state legislatures in 2010, the left began to target ALEC for destruction.